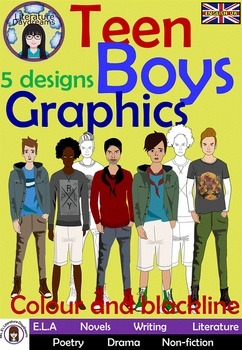 A set of colour and blackline teenage boys for personal or commercial use. These boys are cool. 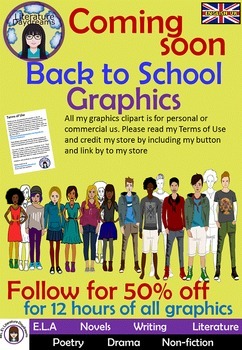 This clipart graphic product is perfect for teachers looking for something realistic to use with teens. With a realistic, modern and fresh style these guys are the coolest dudes in town. 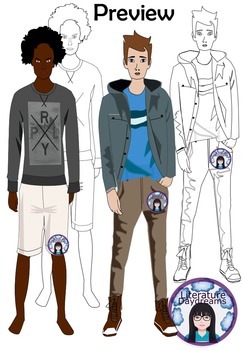 Please preview for an accurate view of my clipart / graphics style. 5 different designs in total.